it might be time for an upgrade. At Hermitage Lighting Gallery in Nashville, we have lighting options for every room in your house, including sconces for your hallways, pendants for your kitchen island, and lamps for your bedroom. Whatever you’re shopping for, you can find it in our online catalog or our downtown showroom! for the entire house, but whatever you need, you’ll find it at Hermitage. At Hermitage, we work with many homeowners and contractors who are building a new house and want to see several options for each room. We’ve also sat down with people who want to remodel their house, either to expand and improve their living space, or to get their home ready to sell. Regardless of the circumstances, we can show you the best light fixtures for every room in your house, and provide guidance and assistance with choosing the best size and style of lights. For more than 70 years, Hermitage has been helping people in the Nashville area find the ideal lighting solutions for their homes and businesses. We’re always happy to meet new customers and help them find the perfect lighting, as well as sit down with regular customers and help them continue their lighting upgrades. 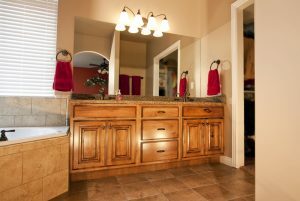 If you’re looking for new fixtures for a specific room in your home, please visit us today!